Established in 1993, Metatrunk UK Ltd specialises in the supply of both electrical containment systems and steel infrastructure construction products. Originating from North London, we deliver to London, Hertfordshire and the South East, and can also arrange deliveries to sites in England and Wales. The goods that we supply include: trunking, tray, ladder, basket, reinforcement mesh, cut and bent rebar, and earthing and lightning protection materials. Metatrunk UK Ltd even offers a galvanising service which has proved to be speedy and reliable. Our goods are also used by the rail industry for various construction projects. The list of products we supply range from hot-dipped galvanised bolts to bespoke metal fabrications. 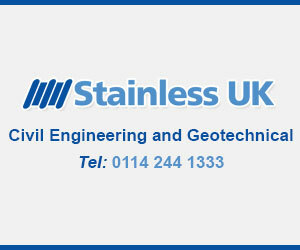 As trusted mechanical distributors, we can provide certification for galvanised products and for all of the goods that we supply, upon request. If you are looking for a reliable supplier of electrical containment products, call Metatrunk UK Ltd. We provide a speedy delivery service throughout Hertfordshire and London. We can also supply a range of fixings and fasteners. Here at Metatrunk UK Ltd, we offer a wide range of steel materials for construction projects. If you are looking for A393 mesh or cut and bent rebar to meet your requirements, you can contact us. We even offer a range of copper materials and exothermic weld products for earthing and lightning protection requirements. We can also supply electrical containment products and fasteners. Metatrunk UK Ltd supplies an extensive range of drill bits, holesaws, self-drilling screws and many other goods at reasonable prices. You can call us, should you be looking for fasteners or fixings in Hertfordshire. From screws to pipe clamps, we offer a massive range of fasteners for all types of construction and installation projects. We can also supply Rawlbolts, non-drill anchors, chemical anchors and many more upon request. Specially manufactured bolts are available in various finishes such as stainless steel, galvanised and nylon. You can also call us for steel materials and electrical containment goods.